I’ve been going on and on about Europe being dull for me. I’m sure it’s getting tiring to the few people that read my ramblings, I know it’s getting tiring for me to keep typing it. The truth is, not only has Europe bored me into submission, but it’s been a little bit difficult for me to put my finger on why. It’s beautiful, it’s organized, and there is plenty for a travel photographer like me to snap photos of. But still, I found myself wandering without any enthusiasm through much of Europe. Bratislava, however, was better. I’m not exactly sure what it was about Bratislava, but it improved my mood immensely. Sure, the weather was still that low hanging overcast of grey, the majority of the attractions were still immovable buildings, and slow-paced museums. However, there was character to Bratislava, as cliche as that may sound. Well much of Europe is so manicured, Bratislava has a bit of an edge that makes it feel much more real. I’ve always preferred the edgy rather than cities that seem to attempt to portray themselves as a fairy tale world. Vienna and Bratislava couldn’t be more different. In Vienna, you’ll find horse carriages, manicured gardens, and tourists staring blankly at buildings through their iPad screens saying things like “wow, so much history here”. Bratislava on the other hand, is a bit more real. Sure, there are plenty of buildings in Bratislava too. It is home to one of the most impressive castles in the region, it houses an interestingly designed blue church, and has your conventional city square. 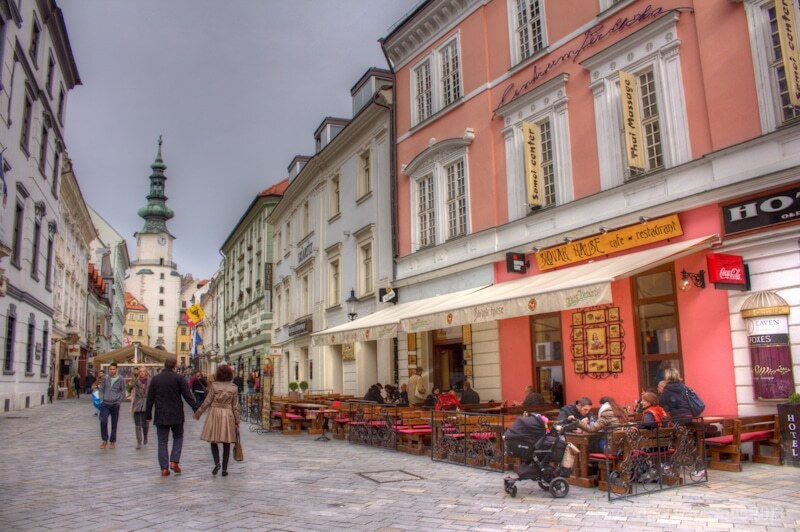 But it’s the side streets of Bratislava that make the city. It’s the tiny pub stuffed along a narrow pedestrian step. It’s the street art on the stairs, and the fact that no one has painted over it with another coat of off-white. It’s the people who are genuinely friendly, and not sick of tourists “invading” their town. Although it may not be “inspiring” to me, it certainly feels more real. Of course, there’s nothing perfect about Bratislava. There isn’t a park bench or public wall in the city that isn’t marked with some graffiti tag. There’s certainly more rubbish on the streets of the city than others in Europe. And the public transportation of the city is less than efficient. But, it’s that imperfection that makes this place worth exploring. It’s almost comparable to seeking out the perfect person. We’ve all met one, but there is never really much appeal is there? No idiosyncrasies, no nuances, nothing to make one truly unique. Perfection has nothing special about it. It’s the oddities of person that makes us fall in love with them. It’s the bits of real personality that make them special. 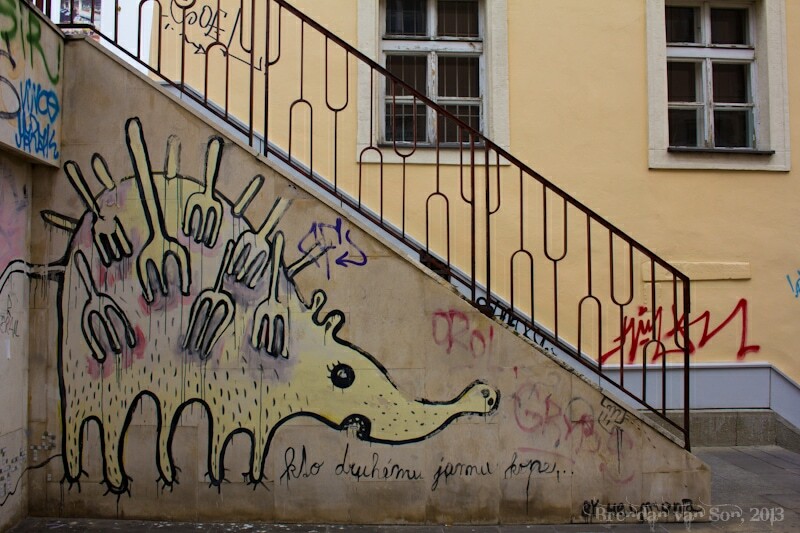 Bratislava has plenty of oddities, and though the city might still not be for me, it reminded me that how I’ve been feeling in Europe, lethargic and uninspired, has nothing to do with me, I’m just not compatible with perfect. I am certainly not compatible with European capital cities. 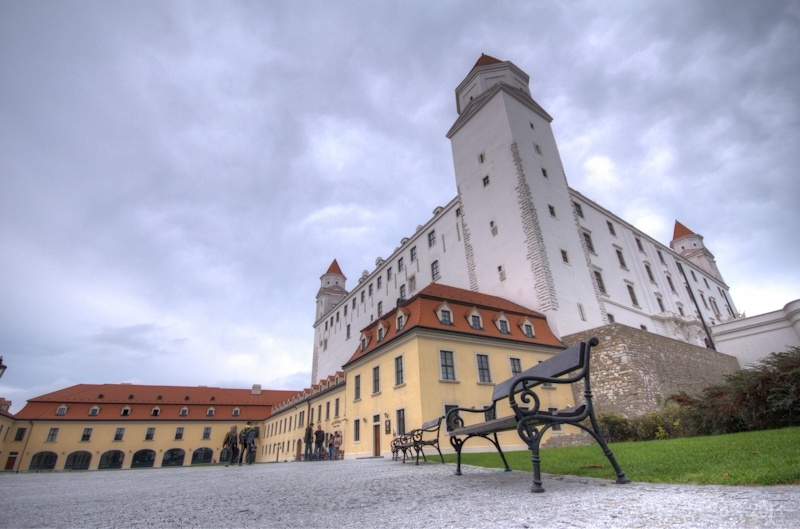 im a big fan of most places in Europe but I did absolutely LOVE Bratislava and can completely relate with what your saying about it being “real” seems like theres not so many tourist around or maybe that you can see the locals around more so. I lvoed those bronze statues all around the city too, like the man in the man hole on the ground! 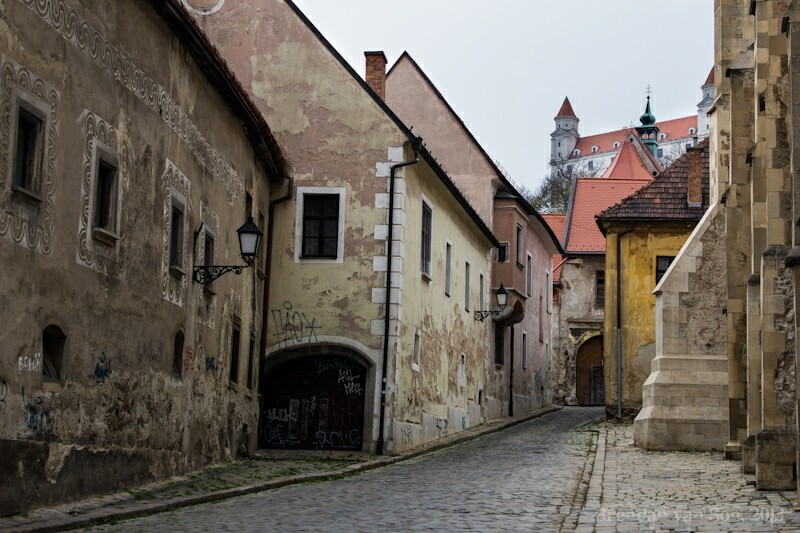 I haven’t been to Slovakia yet, but from your photos Bratislava looks a bit like Warsaw. And I LOVE Warsaw for many of the reasons you listed for enjoying Bratislava. So, chances are I would like it, too! This is how I felt about Naples, which had ridiculous weirdness all over the place. It wasn’t…you know, “good,” but it was interesting, and sometimes that’s a nice change after a little too much civilization. From what you’ve been writing, I definitely get the sense that the farther East you go in Europe, the more you will enjoy it. Which makes me think you’d really love Romania–especially the Maramures region. Any intentions of heading East? 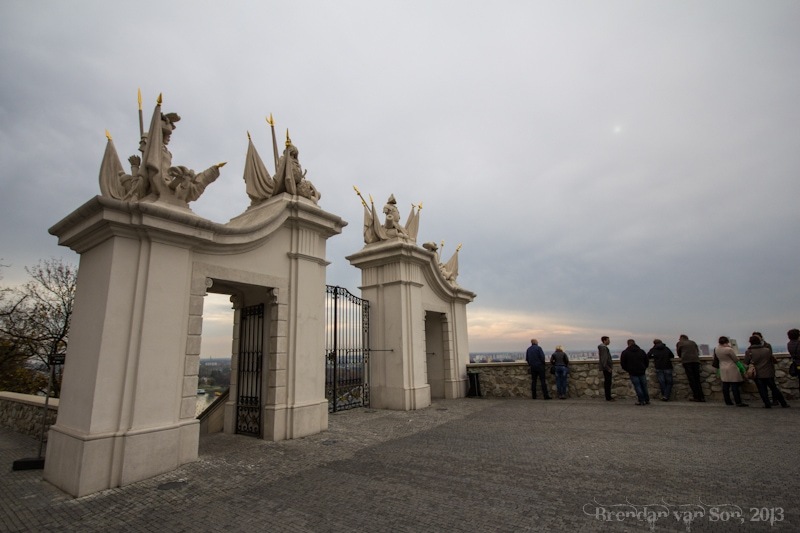 Even though the tourist infrastructure is still in its infancy here it´s just as you say – Bratislava is real and authentic at least..compared to Prague for example, where the locals were literally driven out of the Old Town by the hordes of tourists. Also, I was surprised to find out that a lot of people speak pretty good English in Bratislava and are quite eager to practice it with the foreigners.